Hello and thanks for visiting my site. I’m a pianist, keyboardist, teacher and product demonstrator who lives and works in Coventry with my beautiful wife, Kate. She is an amazing teacher and runs an incredible piano school in the area. We have a little boy called Joshua who is such a great little guy – I love him so much. I teach keys and run the performance module at Nexus Institute of Creative Arts and love working with the students and staff there. I’m privileged to be a Nord Artist and am a keen promoter of Nord keyboards – they are a great bunch of people and produce great keyboards. 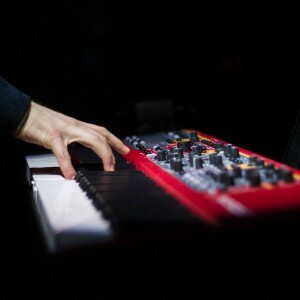 I am a demo musician for Nord and specialise in all Stage and Piano models. I have demo’d these products for Nord at NAMM, Musikmesse and their factory in Stockholm, Sweden. I love crafting sounds on the Stage 2/ 2 EX and if you are a Nord User you can download my patches here or contact me to request a patch – I’d love to help out if I can. I also offer training (beginner to advanced) for anyone who wants help getting more out of their Nord. I am a ROLI artist and feel privileged to be associated with this amazing company and their products. Do check them out and don’t hesitate to get in touch with me. Like most musicians I’m always looking for ways to get new gear and expand this list! If I got another keyboard what would it be?… Hmm… In case you are interested this is the gear I currently own and work with the most. FOR SALE! My Studiologic SL Grand is up for grabs. This is a beautiful wooden action MIDI controller and is in perfect condition. Please contact me if you are interested. 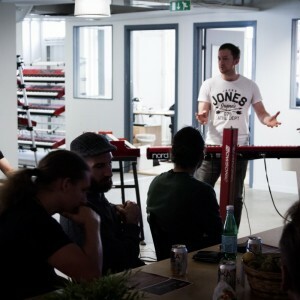 I am privileged to be a demo musician for Nord and over the last few years I have had opportunities to demonstrate new products at NAMM, Musikmesse and as part of distributor training days at Nord HQ in Stockholm, Sweden. I offer specific training on the Nord Stage and Nord Piano (all models) for beginners through to advanced, professional users. Training can also include detailed information on how to use the Nord Sound and Sample managers. As well as Nord product training you can also contact me if you are interested in piano tuition. I specialise in teaching theory, chords, improvisation, playing by ear and popular music styles. Please don’t hesitate to contact me if you have any questions. I’m pleased to say that patches for the Nord Stage 3 are now available! Due to different architecture in the Stage 3 it is not possible to use sound/bundles from the Stage 2/2EX. I will be recreating all the bundles that currently exist, as well as recreating new ones for both the Stage 2/2Ex and the Stage 3. To see all available patches please visit my online store. Please don’t hesitate to contact me with any specific requests. Here is a short video demoing one of the new features in the Stage 3. I’ve given these patches a slight 2017 refresh to get them sounding even better. You can now download all the patches I used to create this video at a special reduced price! Following the popularity of the first ‘Classic Hooks’ video I decided, after lots of requests, to do another. We had great fun putting this together and it was a good challenge programming some of these sounds. It was also great to work with some awesome musicians and colleagues from Nexus Institute of Creative Arts. The Video features sounds programmed on the Nord Stage 2, Nord A1 and Nord Drum 2. Listen loud, turn up the bass and enjoy this trip down memory lane! Due to a number of requests I’ve made every patch used in this video available as one bundle for a special, reduced price. All the pianos have been replaced with clarinets for a quicker download and install – I used the ‘Bright Grand’ for all the patches that require piano. I love these songs and really enjoy these patches – I hope you have fun with them too! For my day job I’m proud to teach at Nexus ICA in the Midlands. Nexus is an independent Christian Higher Education institute offering exceptional courses in Popular Music & Worship. If you’d like to study with me full time or want to find out more about Nexus ICA visit the website. You can also sign up for open day to see the college first hand and chat with me about the course in person. I’m really pleased to be working with Nord on a series of tutorials introducing some of the great features of their keyboards. There will be a new video from the ‘Matt Cossey Tutorial Series’ rolling out each month. This first video introduces how to use the morph assign and gives some simple examples to help get you started. I hope you find it helpful! In this second tutorial I’m talking about the amazing string resonance and pedal noise features in the piano section. There may be some things you didn’t know about customising your piano sound so check it out, I hope it helps you get the best out of the piano samples. A big thanks to my amazing wife for helping me out with some of the music. If you’re local and are looking for great piano tuition you should totally check out her school! In the third instalment from my tutorial series I’m giving an introduction to the drawbars from the B3 section. Many people are a little confused by what the drawbars do and are unsure how to get a good Hammond sound. I hope this video helps get you started! We had another great time in LA playing at the Nord booth for this years NAMM show. As a big MJ fan this was particularly fun and unashamedly self indulgent… Using the Stage 2 EX (88&73) and the Lead A1 we had a great time using Nord to recreate some classic keyboard parts and synth sounds. Enjoy! I genuinely love and appreciate all styles of music. In this video you can check out my arrangement of the beautiful piece ‘Aquarium’ from Carnival of the Animals by French composer Camille Saint-Saens. Visit the downloads page to download the full score. PATCHES NOW AVAILABLE FOR THE STAGE 3! Thanks for visiting my downloads section! Here you can download bundles for the Nord Stage 2, 2 EX and the new Nord Stage 3. Please check carefully to ensure the bundle you are downloading is compatible with your model. All audio demo’s below are direct recordings from the Nord. I also take requests so contact me if you need a patch creating for a specific song and I will do my best to help you out. Happy browsing. Thanks to all who have gotten in touch requesting this bundle! I’m pleased to say it is now ready, with a number of additions and improvements, for the Nord Stage 3. The following tracks (with more coming soon) are now available for the Nord Stage 3. You can download them for just 0.99 here. Such a simple hook – but so catchy! The EQ is a little brighter on this patch in order to cut through a mix but you could get it closer to the original with a little less treble and less reverb. Enjoy! This tune has some awesome keys sounds in it! This bundle includes the high ‘blippy’ synth in a higher split and the main synth sound for the chords. The wheel controls a low pass filter so you can get the sound for pre-chorus. 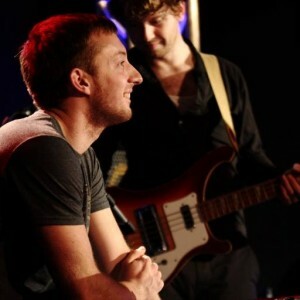 Find yourself a good synth bass player and you’re all set!! I love this solo so much, and also really enjoyed transcribing it. It’s a beautiful improvisation by master keys player Shaun Martin, balancing melody, musicality, creativity and technicality. It’s great fun to play and will help you develop a fluid and creative use of pentatonic. Enjoy! Encore Une Foi – Sash! This bundle includes all the sounds used in the ‘Mixed Feature’ Nord tutorial. Please note that the bundle includes all the sounds used to create these patches and as a result it may be necessary to free up some space on your Nord in order to download these. Enjoy! Turns out this song is pretty popular! Here is a bundle that includes the piano, strings and the iconic synth sound in the upper register. This bundle includes 2 programs. The first has the samples ‘dos’ in a lower zone with the synth in the higher zone (after touch adds the vibrato). Program 2 has the synth in the lower zone and brass in the higher zone. The speed on the glide is also set so if you activate legato mode on the synth sound you can achieve the rising portamento effect that builds into the chorus. Just remember to quickly turn legato/mono off before you play the chorus! I love this piece of music so decided one day to come up with an arrangement for solo piano – you can check it out here. If you like the sound of it and would like to learn it yourself please go ahead and download the score! I hope you enjoy playing it as much as I do. If you'd like to work with Matt - please get in touch.